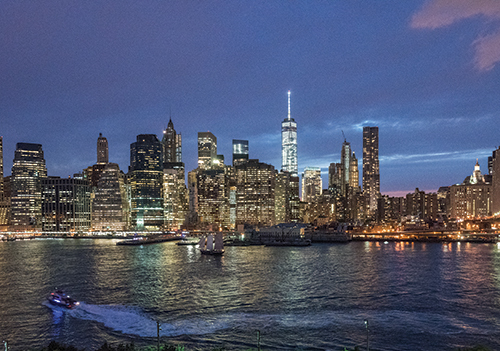 Rising Media’s world-renowned Inside 3D Printing Conference and Expo lands in the Big Apple on April 10-12, 2016. Focused track topics include aerospace, medical, business, metal, IP, manufacturing and marketing. Hours: Sunday, April 10, 9 a.m. to 4:15 p.m.; Monday, April 11, 9:45 a.m. to 6 p.m.; Tuesday, April 12, 9 a.m. to 5:15 p.m. The world-renowned Inside 3D Printing Conference and Expo returns to New York City on April 10-12, 2016, and 3D Metal Printing will be there in full force. Since its inception in 2013, the Inside 3D Printing event has grown into one of the largest professional 3D-printing events in the world. 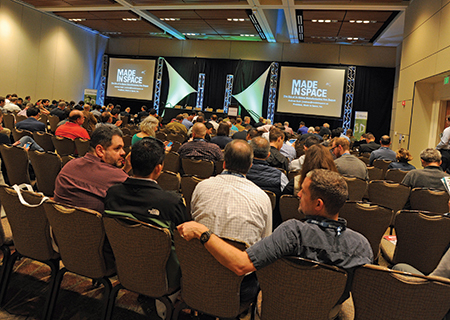 On the agenda is a full day of workshops on Sunday, April 10, followed by two full days of conference sessions led by industry experts. And, let’s not forget the dozens of equipment and technology demonstrations to be provided by the event’s exhibitors, representing the latest in 3D printers, accessories and services. Whatever your role, Inside 3D Printing has a focused track (including several on metal-additive manufacturing) with in-depth analysis and takeaways tailored to your priorities. The expo hall allows networking opportunities with colleagues from not only all over the United States, but from dozens of countries. 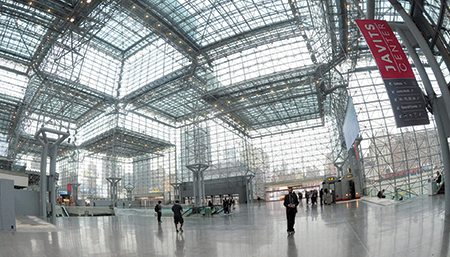 NYC’s Javits Convention Center hosts the Inside 3D Printing Conference and Expo, replete with numerous conference sessions and dozens of exhibitors showcasing the latest in additive-manufacturing technology. Among the keynote speakers on the agenda is 3D Metal Printing columnist and industry consultant Terry Wohlers, president of Wohlers Associates, Inc., whose keynote presentation is titled: The Next Frontier in 3D Printing. What’s in store for those specifically interested in metal printing? On Sunday afternoon, April 10, Jonathan Cornelus, business development manager for Quickparts, leads a 2-hr. workshop (beginning at 2:15 p.m.) on applications for direct metal printing. Increasingly, 3D printing is used not only for prototyping, but also for the production of finished goods. This workshop will help manufacturers, says Cornelus, decide when and where to use metal additive manufacturing. He also will provide relevant case studies. Key themes to be explored include monolithic construction, flow optimization, miniaturization, increased functionality and mass reduction. Attendees will walk away with a comprehensive understanding of when to use direct metal printing, and how to take advantage of the design freedom that these processes offer. Medical and general manufacturing themes dominate the agenda on Monday, April 11. Included is a talk on intellectual-property-protected 3D-printed electronics, by Sharon Flank, PhD, CEO of InfraTrac. Closing the day’s conference will be keynoter (and 3D Metal Printing columnist) Terry Wohlers, whose presentation is titled: The Next Frontier in 3D Printing. “Interest and excitement surrounding additive manufacturing and 3D printing—terms that are used interchangeably—are at an all-time high,” he says. “Countless corporations, government agencies and investors are hard at work trying to predict where it is headed.” Wohlers will share his thoughts on the topic. The Metal Track features several of the world’s leading experts in 3D metal printing, including researcher Spencer Wright, who will present a detailed case study showcasing the state of the art in using lattices to create lightweight parts optimized for manufacturability. The metal track at Inside 3D Printing kicks off on the morning of Tuesday, April 12 (from 9 to 9:45 am), when researcher Spencer Wright presents a detailed case study showcasing the state of the art in using lattices to create lightweight parts optimized for manufacturability. Wright is vice president of product at nTopology, a company that builds lattice-design software for industrial additive manufacturing. By showing the full workflow—from mechanical CAD through generative design, build preparation and manufacturing —he will demonstrate the complexity and opportunities available to manufacturers when using lattice structures for part production with metal additive manufacturing. Attendees will leave with practical knowledge of how to use lattices, and a broad understanding of how lattice design fits into and compares with other generative techniques. Following Wright’s presentation will be a panel discussion on 3D metal printing. Panelists include Geoffrey Doyle, president, FIT West Corp. (moderator); Ric Fulop, founder and CEO, Desktop Metal; and Winthrop Sheldon, west region sales manager, SLM Solutions. Later that morning, at 11 a.m., Rachel Gordon, a technology analyst with the global independent market-research and business-intelligence firm IDTechEx, takes the metal-additive reins to present her firm’s recent research related to metal-additive manufacturing. She will provide an overview of new and existing technologies for 3D printing in metals, including available alloys, technical requirements of metal powders and other feedstock; the current and potential applications; insights from end users; and trends in the industry including global market forecasts. Afternoon sessions include a talk (beginning at 4:30) on 3D printing for aerospace applications, presented by Mark Walluk, mechanical design and analysis engineer at the Golisano Institute for Sustainability at the Rochester Institute of Technology (RIT). Walluk will discuss how numerous aerospace applications are benefitting from 3D metal printing, including the creation of prototype components that may be used in unmanned aerial vehicles (UAV). He’ll explain how material properties and design aspects are being investigated for direct metal laser sintering, in an effort to reduce volume and weight onboard the airframe. Then he will share with attendees work underway at RIT in material testing and in developing design-build concepts for 3D metal printing, along with results of projects focused on 3D printing of UAV components.